Apple released macOS Sierra as a public beta in July 2016. The operating system went golden and had its full release on September 20, 2016. Along with giving the operating system a new name, Apple added a lot of new features to macOS Sierra. It is more than a simple update or a bunch of security and bug fixes. 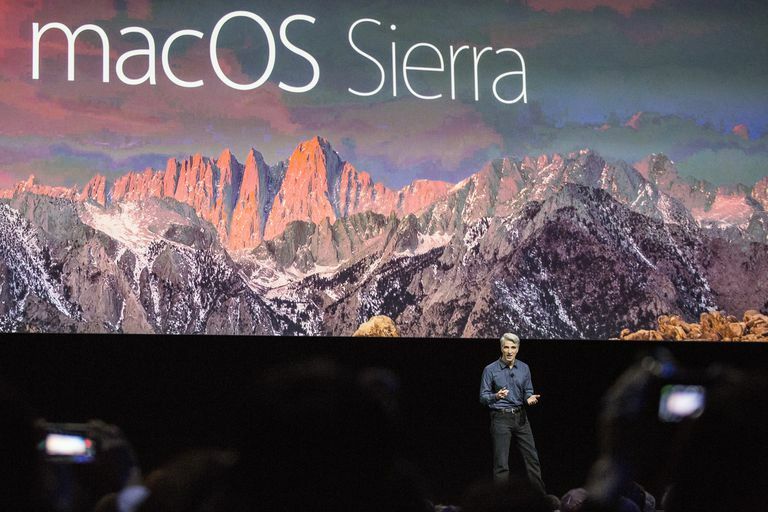 Instead, macOS Sierra adds new features to the operating system, including the incorporation of Siri, expansion of Bluetooth and Wi-Fi-based connectivity features, and a whole new file system that replaces the venerable but outdated HFS+ system that Macs have used for the last 30 years. When an operating system encompasses such a wide range of new features and capabilities, there's bound to be a few gotchas. In this case, the list of Macs that can support macOS Sierra was trimmed substantially. For the first time in five years, Apple removed Mac models from the list of supported devices for a Mac OS. The last time Apple dropped Mac models from the supported list was when OS X Lion was introduced. It required Macs to have a 64-bit processor, which left the original Intel Macs off the list. Aside from two late 2009 Mac models (MacBook and iMac), all Macs older than 2010 aren't able to run macOS Sierra. What isn't clear is why some models made the cut and others didn't. As an example, a 2009 Mac Pro that is not supported has much better specs than the 2009 Mac mini that is supported. Some have speculated that the cutoff is based on the GPU used, yet the late 2009 Mac mini and MacBook only had an NVIDIA GeForce 9400M GPU that was basic even for 2009, so it's not likely that the limitation is the GPU. Likewise, the processors in the two late 2009 Mac models (Intel Core 2 Duo) are basic when compared to a 2009 Mac Pro’s Xeon 3500 or 5500 series processors. So, while people speculate that the issue is with CPUs or GPUs, it’s probably the presence of a peripheral control on the Mac motherboard that is being used by macOS Sierra for some basic function. Perhaps it's needed to support the new file system or one of the other new features of Sierra that Apple didn't want to go without. Apple’s not saying why the older Macs didn't make the support list. Update: A macOS Sierra patch tool was created that allows some previously unsupported Macs to work with macOS Sierra. The process is a bit long-winded, and, frankly, not something most people will want to bother with on their old Macs. Be sure and have a recent backup before proceeding with the patch and install process. Apple didn't issue specific minimum requirements beyond the list of supported Macs. However, going through the support list and looking at what a base install of the macOS Sierra preview needs gives a good idea of the macOS Sierra minimum requirements, as well as a list of preferred requirements. *Drive space size is an indication of the amount of free space needed just for the OS install and does not represent the total amount of free space that should be present for effective operation of your Mac. If your Mac meets the minimum requirements for installing macOS Sierra, you're ready to undertake the installation process.